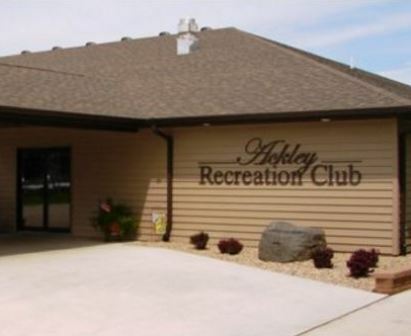 Ackley Recreation Club, previously named Ackley Country Club, is a Semi-Private, 9 hole golf course located in Ackley, Iowa. 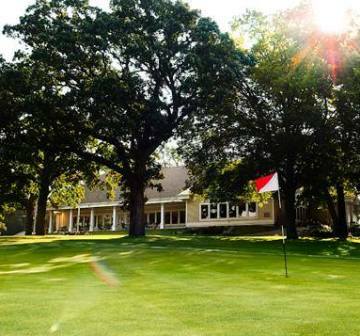 Ackley Golf Course first opened for play in 1950. The course is short. very easy to walk and ideal for beginners and seniors alike. There are only a few hazards that come into play. Established maple, oak, fern, and weeping willow trees line the fairways. Par for the course is 64. From the back tees the course plays to 2,156 yards. From the forward tees the course measures 2,081 yards. The longest hole on the course is # 5, a par-5 that plays to 406 yards. The shortest hole on the course is # 3, a par-3 that plays to 128 yards from the back tees. Watch out for # 2, a 189 yard par-3 challenge and the #1 handicap hole on the course. The easiest hole is # 1, a 273 yard par-4.